Launching Your Mobile App? Is It Ready For iOS 11? Failing to prepare is preparing to fail. Proper preparation prevents poor performance. If you’re going to launch your own mobile app, a little preparation will go a long way. iOS 11 version was released just 3 days back i.e on the 19th of September 2017. It comes with an intelligent superhuman Siri, amazing improvements to camera and photos, updated design elements, a totally remodeled app store, and hundreds of new features like live photo editing, screen recording, screenshot editing, customizable control center, Apple Maps flyover mode, drag and drop features, and augmented reality (AR) technologies, among others. When launching a mobile app, irrespective of what platform your app is intended for, there are certain factors to keep in mind before launching it like your app release date, your target niche, your app’s bug fix plan, the publishing process to be followed for your app, your marketing plan, revenue model, etc. Not necessarily you might be launching your mobile app on both Android and iOS at the same time. If you’re someone who has decided to launch your app on iOS first, then I am pretty sure you have the recently released iOS version (i.e iOS 11) on your mind. Don’t you? If not, then you must. Because you wouldn’t want your app to not work on iOS 11. Would you? 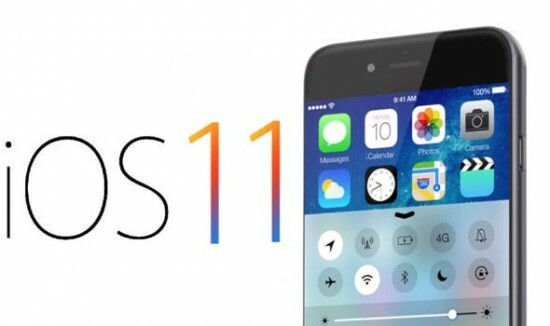 After all, iOS users have started updating their devices to this latest version and soon, every iOS user would have it on his or her device. Do not use custom review prompts in your app as iOS 11 does not permit third-party rating prompts and could reject your app if your app uses it. Thus, you should use the provided APIs for requesting reviews. Further, Apple has limited rating prompts to three times per year, due to which it becomes essential to consider who and when you’re sending rating prompts to. Make sure to send rating prompts to users who have enough experience with your app so that they can give a quality feedback. Also, you should ideally wait for at least 4 months after sending a customer rating prompt before doing so again. The revamped app store in iOS 11 offers the highlighting feature which brings new product pages containing new text fields wherein you can showcase your app’s qualities. It lets you highlight the most amazing parts and features of your app in order to entice your target customers with as many as three app previews. iOS 11 lets you promote in-app purchases directly from the app store only. This will let your users find and make the in-app purchase directly from the app store only. With the release of ARKit (a new framework giving native AR features), scene understanding and position tracking become possible. While building your app, make it ready for iOS 11 ARKit. Developers can go in and look at the APIs and build complex AR-based apps (which took an increased amount of time earlier) in a fraction of time now. Research all the new APIs to find out what new things and features you can incorporate into your apps to make them iOS 11- friendly. Make sure to configure and verify the various app properties that cannot be changed after you submit your app for app review, like Game Center, iCloud display sets, categories, keywords, ratings, optional app reviews, and app store text & images. To save your app from being rejected, make sure your iTunes Connect information matches what is set in the app build by validating these three properties: Bundle ID, Version number, and App sandbox information. If you are a perfectionist and want your app to have a superior performance and look highly professional, then you can either hire a team of developers or a mobile app development company to develop a professional looking mobile app for your enterprise. Professional developers and designers are well versed with the latest technologies and stay up to date with the most recent guidelines and OS versions. They know the iOS 11 version in much depth than any layman or amateur would be aware of.